Dozens of other entrepreneurs got in touch, wanting to know how they'd done it. Robertson and Gerhardt decided to share the code behind their crowdfunding site at Selfstarter.us, which anyone can download and customize for free. It's an attractive option for tech-savvy product designers who don't meet the project guidelines of Kickstarter and its brethren. 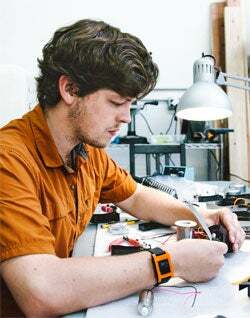 We talked to Robertson about offering Selfstarter to other pre-tailers, and what 'treps need to know before taking the DIY route to crowdfunding. What did you hope would happen when you gave away the platform? Are there other benefits of cutting out the middleman? All of the excitement and the press and the commentary linking to your project are now linking directly to your website [not to Kickstarter's]. So you don't lose out on the long tail of traffic with regard to SEO. It is much more directly funding you as a company as opposed to just funding a project. What tweaks should Selfstarter users expect to make? Any tips for 'treps interested in Selfstarter?